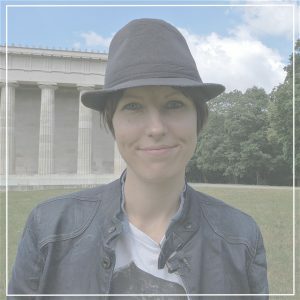 As so often with interviews, I don’t get to talk or write with the artist up front. That makes the whole thing even more exciting. How much time will we have? Are the drums already set up? Will we be able to get on stage and use them? For what exactly? As you see, most of the time things are pretty spontaneous. Therefore it’s best to be prepared, just like when going on stage and counting in the band. 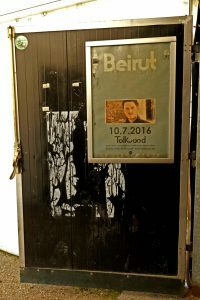 Are you familiar with the US indie-rock-world-music band Beirut? 2006 it developed out of Zach Condon’s solo project into a six-piece band. 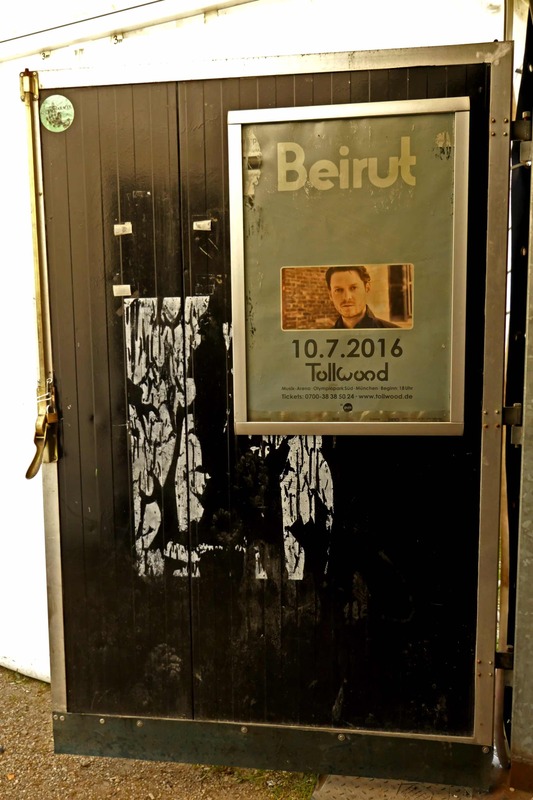 The music is full of conflicts and collisions, hence the band name – Beirut is a city that has experienced a lot of up and downs. 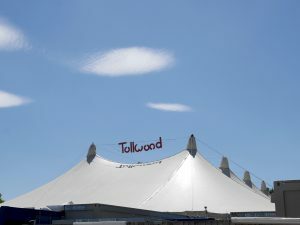 Since their debut the band has also seen ups and downs, including appearances in major tv shows and festivals, as well as injuries and a rest period in a hospital for the leader of the band. Beirut’s latest album No, No No marks their fifths studio record. Drummer Nick Petree took part in the process of creating the new record and accordingly knows a lot about it. That’s also the reason Zach Condon regularly asks Nick to cover for him in interviews. Therefore Nick was extremely happy to finally do an interview that specializes on drums. It’s been my pleasure as well. Nick Petree and I met before soundcheck. Luckily his kit was already set up. And how wonderful that Nick brought enough time and enthusiasm to demonstrate some Beirut grooves for me and thus for you. 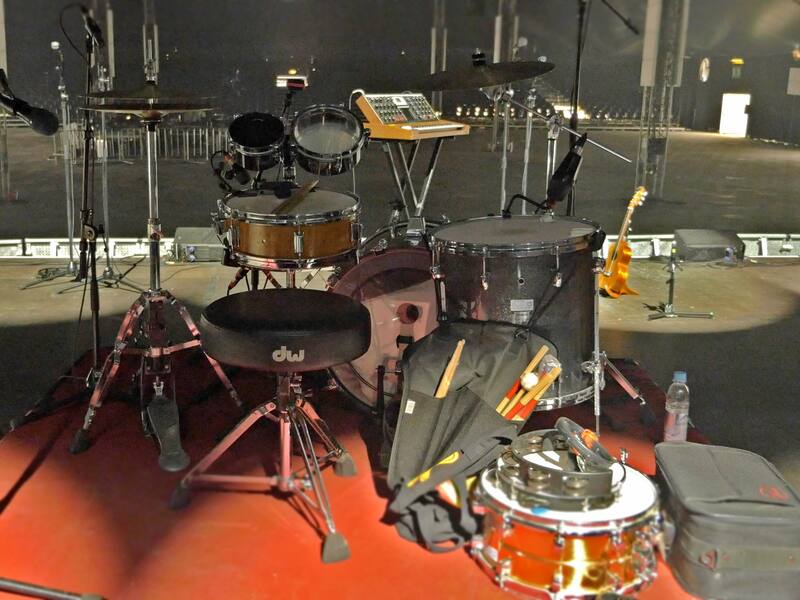 Take a look at his drum set – can you guess which drummer got him hooked on drums? Either way, his kit is rather small and thus makes perfect sense for the minimalistic drummer. When you listen to the songs, you’ll hear tight grooves, mostly inspired by marching music, rock ‘n’ roll, Motown and bossa nova. You won’t hear many fills. Nick also explains why that is in the video. So here are the six grooves Nick Petree demonstrates in the video. Enjoy! Hopefully Nick’s grooves inspire you and give you something to work on. Speaking of, in the end of the video I am repeating a quote by Nick Petree. It goes like this: “You don’t have to be perfect to succeed – working hard and being affable really do go a long way.” Think about it and give your boss what he / she wants some time. Who knows where that will take you. Incidentally I totally agree with Nick and I am glad he thinks that way. Why? Because the sound in this video is far from perfect at times. I am truly sorry about that and hope that won’t happen again. However, the material is too good to ignore it. Finally I know something about the Beirut drummer Nick Petree and again, I collected yet new listening suggestions about artists, I haven’t checked out yet. Meet Nick Petree, the drummer who’s living his dream. Enjoy!